CHICAGO, Oct. 10, 2018 /PRNewswire/ -- Combined Insurance, a leading provider of individual supplemental accident, disability, health, and life insurance products, and a Chubb company, announced Mat Matarrese as the company's new Vice President, National Worksite Sales Leader. Matarrese will be responsible for driving the profitable sales growth strategy in the company's Worksite channel through new agent recruitment, sales production, professional development and building and maintaining client relationships. "Mat brings over 14 years of supplemental insurance experience, along with positive energy and expertise in the Worksite space," said Doug Abercrombie, SVP Chief Agency Officer at Combined Insurance. "His experience in the industry and ability to build long-lasting and meaningful relationships will be a valuable asset to our organization." 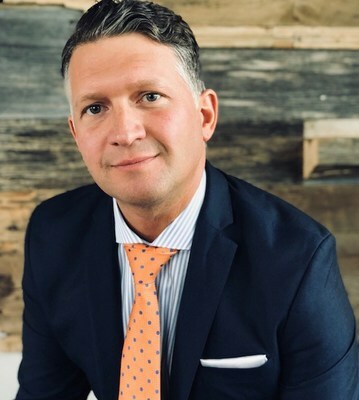 Matarrese started his career in insurance as an agent, and then accelerated quickly into management, field executive leadership and as a Vice President of Sales. During his career, he has achieved outstanding accomplishments, including excellence awards and leading national corporate initiatives. "Combined has an amazing opportunity for growth and development in its Worksite space that I am pleased to be joining," said Matarrese. "A part of our common purpose at Combined is to foster a culture of winning and integrity that attracts and retains the very best talent, and I look forward to leading this group with this focus around these practices." Combined Insurance Company of America has an A+ (Superior) financial strength rating by A.M. Best, one of the world's top insurance rating firms. The company has also been recognized for eight consecutive years on Ward's 50® Top Performing Health-Life Insurance Companies list. Furthermore, Combined Insurance has received numerous accolades throughout the years for its veteran-friendly hiring practices—most recently named the #1 Military Friendly ® Employer and #1 Military Friendly ® Spouse Employer in the nation for 2019 by VIQTORY.